Louis Tomlinson has become the first member of One Direction to tweet about the group's double whammy of nominations at the 2014 BRIT Awards. The boyband have been selected for the Best British Group category, and are automatically nominated in the Best British Single field for having one of the ten best-selling tunes of UK origin in 2013 - even if it was 'One Way Or Another (Teenage Kicks)'. 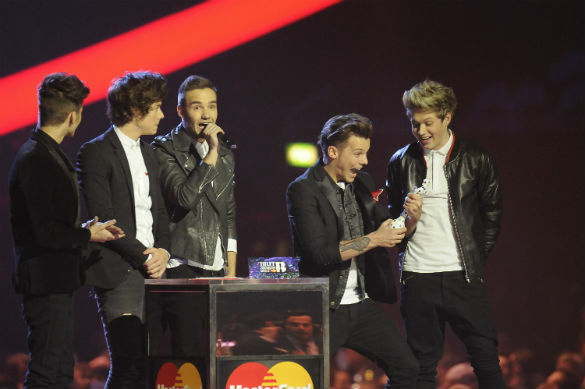 Louis wrote excitedly: "Can't believe we have been nominated for TWO Brits !! Unbelievable :)". In the Group category, the band have stiff competition in the forms of Arctic Monkeys, Bastille, Disclosure and Rudimental. As for the Single prize, their nine competitors include Bastille, Disclosure and Rudimental again, plus Ellie Goulding with Calvin Harris, Ellie Goulding on her own, John Newman, Naughty Boy, Olly Murs and Passenger. The quintet have been nominated for three BRITs in the past, and won two. In 2012, 'What Makes You Beautiful' won the Single prize, and last year they were honoured with a specially tailored Global Success trophy for all their achievements internationally. They did, however, lose out on British Group at the hands of Mumford & Sons. Louis and bandmates Liam Payne, Niall Horan, Zayn Malik and Harry Styles are currently enjoying a well-deserved break, before they embark on yet another manic year. In 2014 they will hit the road once more on a mammoth stadium tour, and their fourth LP is also due before Christmas. Get that rest in while you can, boys.. 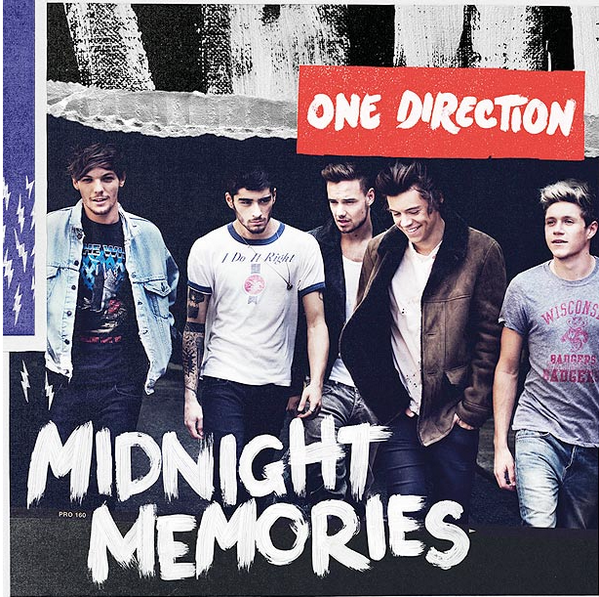 Midnight Memories Sells Over 1 Million Copies! One Direction have landed at number one with their new album in the US. The boyband's third collection Midnight Memories debuts atop the US Billboard 200 chart with first week sales of 530,377 copies. It is fractionally lower than the first week sales of their previous album Take Me Home, which topped the Billboard 200 chart with sales of 540,000 back in November 2012.In comparison, One Direction debuted in America at number one with their first album Up All Night back in March 2012 with sales of 176,000 copies. Combined with UK sales, the boys have sold over 750,000 copies of the new album in the last week, tipping over 1 Million internationally! Going Gold in the UK and USA! 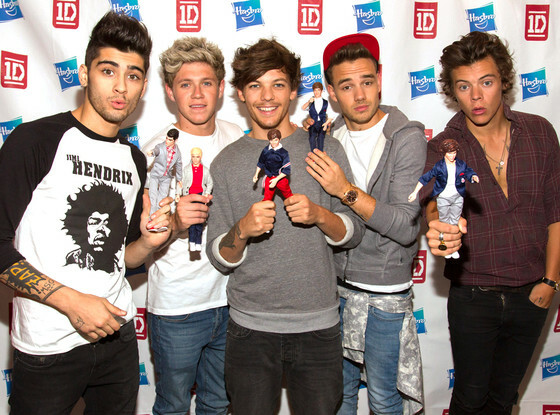 1D Boys Top Uk Charts & Break Their Own Record! 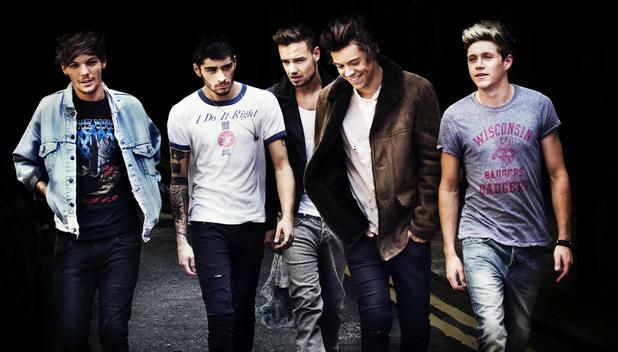 One Direction have stormed to the top of the UK Album Chart with their third studio album Midnight Memories. The LP becomes the fastest-selling artist album of 2013 in the UK, as well as the fastest-selling album of the boyband's career to date. According to the Official Charts Company, Midnight Memories has sold more than 237,000 copies during the last seven days, beating the first week tallies of 2011's Up All Night (139,000) and 2012 follow-up Take Me Home (155,000). 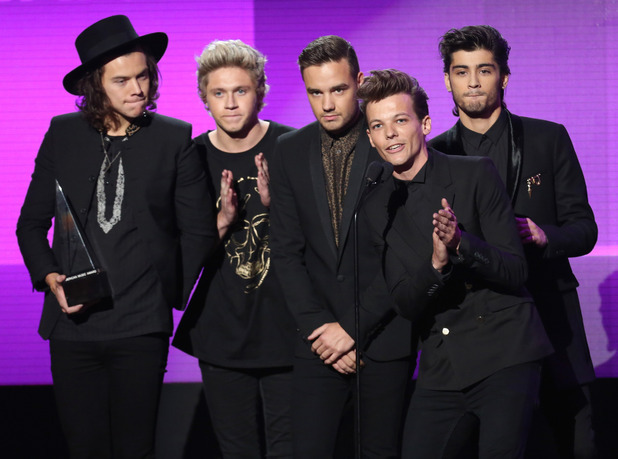 One Direction break the 2013 record previously set by Daft Punk in May. The French duo's comeback album Random Access Memories topped the charts with sales of 165,000 in its first seven days. Official Charts Company chief executive Martin Talbot said: "It is a fantastic first week for One Direction, whose album is not just the fastest seller of the year - but is also the first artist title to sell more than 200,000 copies in a week since Michael Buble's Christmas album in December 2011. "The success really does send a signal that the festive season is almost with us - and means 1D are now real contenders to claim the biggest album of the year."